Mr. Charl Johnson is back on the stand for cross-examination with Barry Roux. Roux is repeatedly insinuating that the couple is comparing notes and sharing evidence. He points out different circumstances where they used the same words to describe the events of that night. 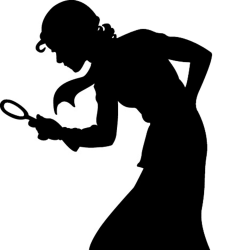 For instance, when they describe the intensity of the fear they heard in the woman’s screams as well as how they describe the pause after the first gunshot, they spoke very similarly about those details. They did not mention these details in their original written statements but are now testifying to them on the stand in similar ways. Mr. Johnson denies that they are comparing testimonies and explains that two people who were right next to each other sharing the experience on that night could very easily describe it the same way. Their accounts are more detailed now because they have since made detailed notes about that night, on the advice of their advocate. Mr. Johnson states that he and his wife did not make notes together, that he keeps his own notes on his personal laptop. Last night before trial he turned those notes in to a PDF and transferred them to his iPad which is currently located in the witness room. Roux asks him why he kept notes and he states that their advocate said to them a while back that it may be some time before the case goes to trial and it’s important to keep notes in as much detail as possible so they would remember come time for trial. Roux also wanted to know why Mr. Johnson did not testify immediately after his wife yesterday; why did Mrs. van der Merwe testify in between them. He seemed to be implying that in the time that Mrs. van der Merwe was on the stand, the two of them were in the witness room discussing their statements. Mr. Johnson explains that Mrs. van der Merwe was extremely nervous about giving testimony (which was indeed witnessed when she got on the stand yesterday) and she asked Mr. Nel if she could just testify and get it over with. She wanted to be done with her testimony yesterday and just go home. So he let her testify in front of Mr. Johnson. So Mr. Johnson and his wife were in the witness room together in between testimonies. Roux pushes very hard back at Mr. Johnson basically telling him that he is lying to the court and the judge admonishes Roux for going too far with the witness. Roux then asks Mr. Johnson if he was the one who woke his wife that night by jumping out of bed and he says yes. This is in contradiction to her testimony. She stated that the screams woke her up. Mr. Johnson believed it was him jumping out of bed that woke her up. So there are some inconsistencies there. I’m not sure how important they are but Roux wants to make them important. Understandably, he seems very hell bent on ruining the credibility of these two witnesses who are vital to the timeline of events. He also questions Mr. Johnson’s credibility on the number of shots he heard. Mr. Johnson’s statement said 5 to 6 shots and Mr. Johnson agrees that is what he thought at the time. Roux believes he should have been more accurate since he was out on the balcony at the time he heard the shots. Now this was a very important piece of testimony that took place today and has several questions swimming in my head. Many look at this point as a win for the defense. I’m not sure yet, I think it needs a lot more dissection. Mr. Johnson states to the court that their call to security was at 3:16am. That call lasted 58 seconds. After the call terminated it would have been 3:17am. He put down the phone and immediately went back to the balcony where he heard the heightened screams and gunshots that followed. Since this portion of the event happened very rapidly, we can probably estimate that the shots may have occurred sometime around 3:17:30am roughly. Roux presents Mr. Johnson with the fact that Oscar phoned the estate security (Stander) at 3:19:50am (I may be off by a few seconds here). He believes that the timing of this phone call surely indicates that Mr. Johnson heard the cricket bat hitting the door and not the gunshots based on the fact that according to Oscar’s initial bail statement, he called Stander AFTER bashing in the door and pulling Reeva out. That would explain why Burger & Johnson heard silence afterwards. 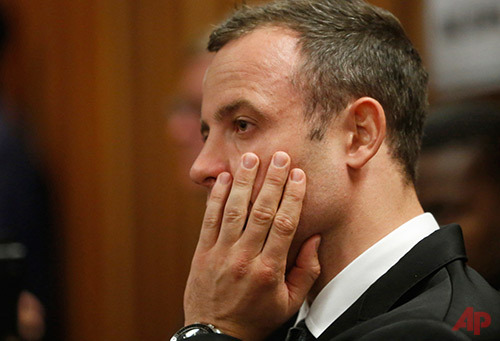 This would be the time that he is pulling Reeva out of the bathroom and getting the phone to call Stander. But Mr. Johnson again states he is positive that what he heard were gunshots. •	All of a sudden he realizes that maybe it was her in the bathroom. •	He returns to the bathroom, tries to open the toilet door but it’s locked (he is still on stumps). •	He went back to the bedroom (still on stumps), opened the balcony door (which means he’d also have to open the blinds and curtains first since he previously stated he closed them), exited on to the balcony, and then yelled for help. •	When he comes back inside, he puts on his prosthetic legs. •	He ran back to the bathroom tried to kick the door open which didn’t work. •	He ran back to the bedroom again to grab his cricket bat. •	Then he ran back to the bathroom and bashed part of the toilet door in. •	He then found the bathroom key on the toilet floor, unlocked the door and pulled Reeva through it out in to the bathroom. •	HE THEN PHONED STANDER. The screams that Burger and Johnson heard were fairly consistent in the few minutes that they heard them prior to the gunshots. They occurred immediately before the gunshots and throughout the gunshots. If Roux wants us to believe that it was the cricket bat that they heard, that would mean that Oscar was screaming so loudly that he sounded like a girl all the way up until he finished bashing the bathroom door in with the cricket bat. 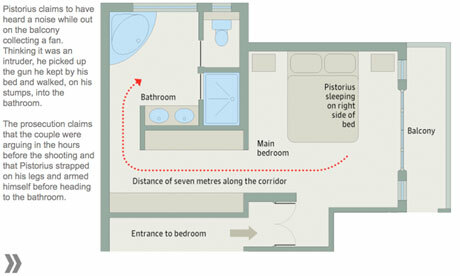 In Oscar’s statement above, he mentioned yelling to Reeva right after the gunshots and yelling on the balcony. That is all. He was running back and forth between rooms supposedly trying to figure out who was in the toilet and trying to get her out once he knew it was Reeva. The reported screaming still doesn’t match up with what Roux is suggesting. Then continuing on with Oscar’s original bail statement, he then went downstairs and unlocked the front door, ran back upstairs to get Reeva and while he was carrying her back down the stairs, Stander and a doctor from the neighborhood arrived. How could they have arrived so quickly? With his legs now on, I would imagine that 2 trips up and down the stairs would not have taken him that long. How far away was Stander from Oscar’s home when he called him? It is possible that he was very close by. I’m just thinking out loud. I am anxious to hear Stander testify so we can tighten up this timeline of events. In conclusion for Mr. Johnson, Roux would like to see Johnson’s notes from his iPad so they adjourn briefly to obtain them. When they come back from break we find out that they are having a problem locating them but Nel tells the court that they will get them and make sure the defense has a copy. Johnson is excused for the time being. I’m guessing we’ll see him again tomorrow. Next witness up is Kevin Lerena. He will be testifying in regards to count # 2, which is one of the additional gun-related charges in this case that is not directly related to the killing of Reeva. Mr. Lerena is a professional boxer. He met Oscar through his sponsor, the Daytona Group. Oscar and he proceeded to spend some time together. Oscar was helping Kevin to get in shape for an upcoming fight. On January 11, 2013, Mr. Lerena was out to dinner with Oscar and two other gentlemen, Darren Fresco and Martin Rooney. They were at Tasha’s Restaurant in Johannesburg. They just had some soft drinks, no alcohol was served, and Mr. Lerena had ordered a pasta dinner for himself. All of a sudden there was a gun being passed underneath their table. It was passed from Mr. Fresco over to Oscar. Mr. Fresco then said “I’m one up” (meaning there was one bullet in the chamber.) Then the gun went off. There was complete silence in the restaurant. Mr. Lerena noticed a hole in the ground right next to his foot. He also noticed some gray stuff on his toes, and there was blood on his toe as well. But he was not shot and suspects that the blood and dust was probably from debris hitting him. Oscar very quickly apologized to everyone and asked if everyone was ok several times. He said he didn’t know how the gun went off. Before anyone came to the table, Oscar asked Mr. Fresco to please just take the rap for him (paraphrasing). He did not want to deal with any media attention about this. The restaurant owner came over and Mr. Fresco took the blame. Mr. Lerena was in shock so he doesn’t remember exactly what Mr. Fresco said to the owner. They paid their bill and they left, and they never spoke about it again. On February 16, 2013, two days after the shooting of Reeva and also after Mr. Lerena’s boxing match, he woke up to 100 messages on his phone. People from all over the world wanted to interview him about an incident the month prior where Oscar shot him in the leg. He came forth to the police and corrected the story, that he was not shot in the leg and explained the incident further. Nel has no further questions for him. It is Roux’s turn to cross-examine but he is not ready for this witness. Apparently they did not know that the witness would be taking the stand today. Roux asks for extra time over lunch to prepare and the Judge obliges. After lunch, Roux suggests to Mr. Lerena that the restaurant was very loud that day and Mr. Lerena agrees that it was. So loud that it’s possible that Oscar did not hear Mr. Fresco tell him that he was “one up”. Mr. Lerena responds that he cannot confirm what Oscar did or did not hear, he would have to ask him directly. Roux wants to confirm though that Oscar was very surprised by the shot, and Mr. Lerena agrees that yes he was very surprised by the gun going off and was very apologetic to everybody about it. 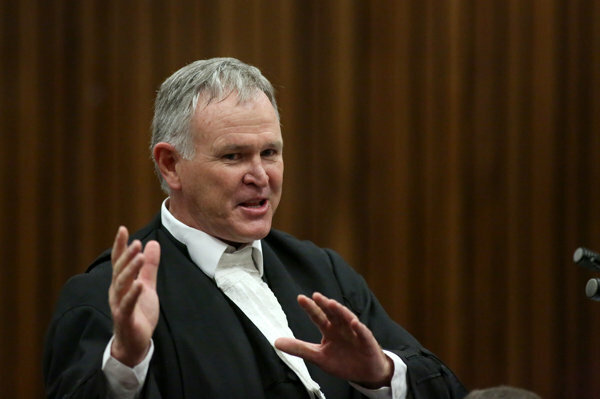 Roux goes on to explain that Oscar wanted to see the gun because he was interested in buying a similar one for himself. He did not know that the gun was loaded and was angry with Mr. Fresco for giving him a loaded gun. He supposedly said “what if somebody got hurt”. Mr. Lerena cannot confirm that conversation, he did not hear that. Roux also states that it was Mr. Fresco who actually suggested to Oscar that he should take the blame for him after Oscar uttered something to the effect of “what will happen if this gets out”. So Roux is proposing that Mr. Fresco suggested he take the blame, and not that Oscar asked him to. Mr. Lerena cannot confirm this conversation between the two. He did not hear the specifics of their exchange. He did hear Mr. Fresco take the blame and heard him say something about the gun accidently getting hooked on his pants or something like that to the restaurant owner. Mr. Lerena is then excused. Next witness is Jason Loupis. He is the owner of Tasha’s Restaurant. He confirmed that the four gentlemen were in his restaurant on January 11, 2013. He has met Oscar on a few previous occasions. That day in their restaurant it was a very busy day around lunch time. They were full so there would have been about 220 people in the restaurant at the time. He heard a loud bang. Thought it could have been a gun but was hoping it was something else, maybe a balloon popping. He went inside to investigate toward the direction of the noise. He asked the guys at the table what happened. Mr. Fresco said “Sorry Jason, my gun fell out of my track suit pants.” He asked them if they were being serious because this is not a joke. He was concerned that somebody could have gotten hurt. He walked around to make sure everybody was ok and it looked like everybody was. The restaurant had gone quiet so he wanted to put everybody back at ease. He went outside and told his wife what happened and she went in to speak to them at the table. Shortly after they paid their bill and apologized and left. Roux cross-examines. When the gentlemen were leaving, they all apologized and Oscar paid the bill. Roux states that Oscar said to Mr. Loupis that he would pay for the damage and Mr. Loupis said don’t worry about it. Mr. Loupis does not recall this exchange. He is then excused. Next witness is Maria Loupis. She is the wife of Jason Loupis and also an owner of Tasha’s Restaurant. On January 11, 2013, she was at the outside seating area of the restaurant when her husband came outside and told her that a gun had gone off. She asked him if anybody had spoken to them and he said yes. She then went inside along with a friend to speak to them as well. Of the group, she knew Darren Fresco, Kevin Lerena and Oscar. She asked them what happened. Mr. Fresco spoke with her and told her that the gun had accidentally fallen out of his pants and went off. She proceeded to ask him what is the first rule of owning a gun, shouldn’t it be safety first. She then she hit him over the head. Oscar did not speak or give any explanation, only Mr. Fresco spoke. Roux then cross-examines. Mrs. Loupis only saw Oscar pay for the bill, she did not hear him apologize or offer to pay for the damage. She did hear the loud sound from the gun when it went off but also stated that at the time she didn’t know it was a gun that she heard. She also states that there was a child sitting in a chair right next to the booth where the gun went off. No further questions, she is excused and they adjourn for the day.